Cirque has once again expanded beyond Las Vegas borders with “Iris,” a $100-million homage to the imagination behind cinema and film-making. In a silver-screen-saturated locale, the exaggerated circus take makes for an interesting blend of traditional stage and Hollywood with some Cirque dynamism thrown in for good measure. The show is directed by Philippe Decouflé, a French choreographer who is making his debut with the show, and Danny Elfman composed the music. 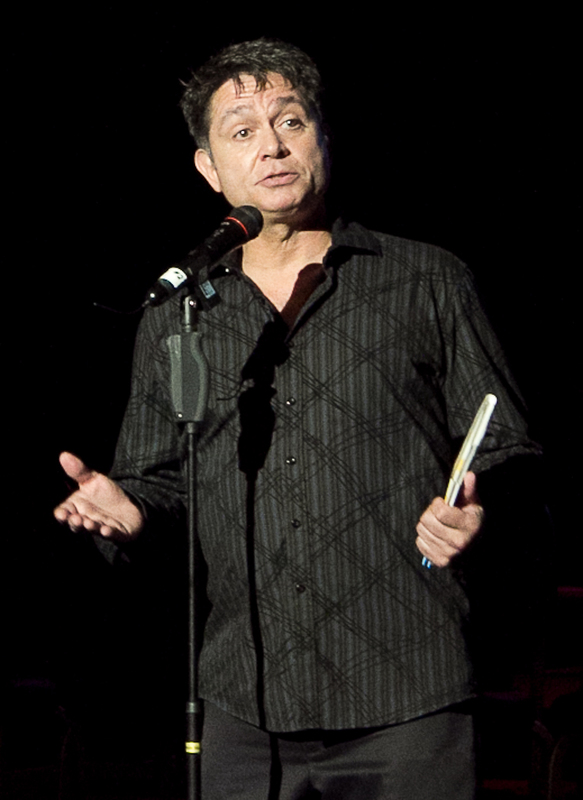 Charles McNulty with the Los Angeles Times wrote about the show, which opened at the 2,500-seat Kodak on Sept. 25, and detailed several nuances that the production carries with it. The $253 VIP ticket price spurred conversations, as this is the most that has been charged for a theater production in Los Angeles. (Check out Culture Monster here for more on pricing.) McNulty also addressed the oft-discussed indecisiveness and visual clutter, which can be overwhelming for newbie and veteran Cirque-spectators alike. Overall, though, it seems that “Iris” might be worth eyeing. Southern California is something of a new frontier for Montreal-based Cirque, so perhaps the novelty alone will draw an audience. Artistic ambition doesn’t seem to be an issue for the company in the past and I doubt “Iris” will be an exception. For photos of the “Iris” cast before and after makeup, follow the link here. More information about the show can be found on the “Iris” official website. These fine folks are sashaying away from Pride Rock for an evening of soft-shoe, song and dance, all accompanied by a side-show atmosphere that was the bread-and-butter of the showbiz world for 50 years. 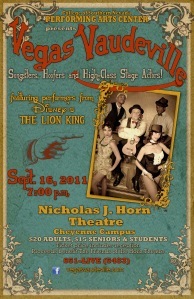 The show is called, appropriately, “Vegas Vaudeville” and is a one-night-only event at 7 p.m. the Nicholas J. Horn Theatre on the Cheyenne campus of the College of Southern Nevada. Tickets are $20 for adults and $15 for seniors and students. For more information or to reserve tickets, contact the CSN box office at (702) 651-5483 or e-mail pactickets@csn.edu. For an oh-so-fabulous interview with “Vegas Vaudeville” and “The Lion King” cast members Deidrea Halley and Keith Bennett, follow the link here.